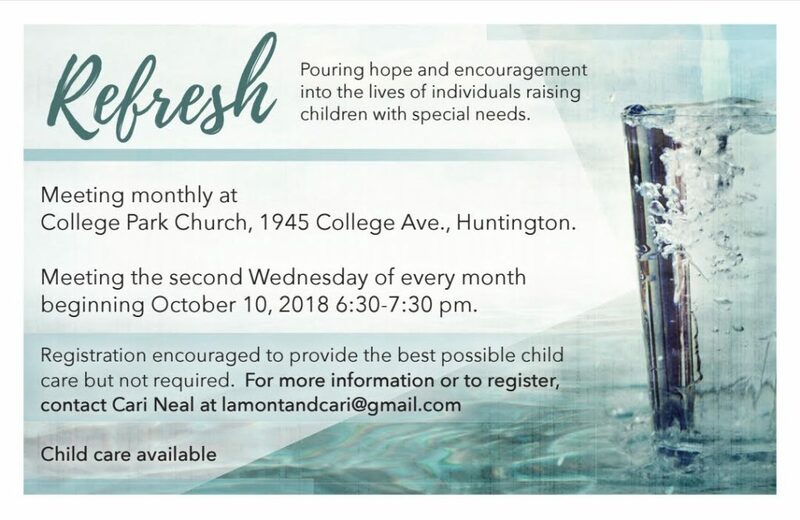 College Park is starting a support group for the individuals raising children with special needs. The group will meet once a month at College Park and is open to the public. Please share this with family and friends.